What is Malware Attack? | How is Malware Install? What is Malware Attack on your computer? Malware Attacks are an ongoing problem on the Internet. It has infected countless users reported to have their bank information, credit card information, and files stolen. Indeed, malware attack is dangerous for us. But what is malware attack exactly? Malware attack is when malware invades the computer without the user’s knowledge and starts stealing files, destroying data and deleting information. Malware attacks in many ways. The computer memory contains the critical data of the operating system so malware attacks it. Destroying the computer is easier once the important data are already stolen if malware targets the core of the computer. Beware of malware attack that leads to a blue screen error - the computer may never boot up again. The computer contains the critical information of user and hackers targets them. When they get ahold of them, they ask for a ransom because they know how important the data are. See how hackers attacked a Virginia bank here. Malware has the ability to self-replicate. It travels not only in the computer but within the network also. Once malware overloads the network it may lead to downtime and the devices connected to the network are also affected. Hackers hide malware on mobile applications, making them unrecognizable. With the help of Google, 145 Android apps containing malware were removed on the Play Store. Apple also discovered that malware has infected some of the legitimate applications on Apple Store. Malware on mobile devices steals personal information, passwords, and logins. It can also access photos, videos, and contact details. Countless free apps are readily available for download on the Internet. It’s hard to tell for sure which one contains malware. Hackers bundle malware with fake apps because they know that users enjoy free apps. Once the app is installed, malware gets installed too. Free apps are good but let us not be careless with downloading applications on the Internet. There’s a type of malware that pretends to be a fake application update. It flashes on the website the user visits and displays that the latest version of the program is available for download. Once the program runs, it installs the malware. Spam has been used by hackers to spread malware. They email blast to different users or their target users to install malware on the computer. The user who finds the email interesting may click on it and installs malware without knowing it. Hackers also use deceptive links to spread malware. They pretend to redirect the users to another page to download an app or cheat, but it contains malware. A cryptocurrency malware that targets Fortnite Bitcoins is found on a YouTube link that promises a shortcut to glory. There’s malware that disguises as a pop-up ad designed to install itself when the user clicks on the X button. This malware is called Scareware. Non-secure websites often contain Scareware. Hackers are more clever nowadays. They insert ads on videos that contain malware. Back in 2015, an ad that was found to contain malware was taken down after it had infected many computers. Malware slows down the computer when it has consumed a great amount of memory and it has infected the programs necessary for the computer to function efficiently. 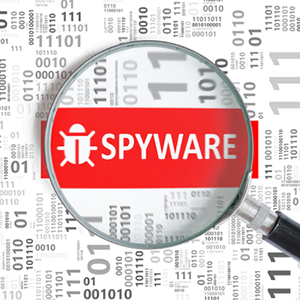 Once malware overwrites the data, the infected applications fail to function normally. They may open or close automatically. Malware generates unwanted ads and pop-ups. They can become extremely annoying because they refuse to close. Malware is capable of changing the computer setting. They can change the desktop background, lower the security setting, change the browser setting, etc. If malware overloads the network, it results in network interruption and slow connection. Since malware overwrites data, the program crashes because the critical data required for them to operate properly is already destroyed. Malware attack results in blue screen once the operating system fails to operate safely. This is the result of deleted keys in the registry or malware attack in the memory. Malware are harmful but they are also preventable. If you take necessary actions and install essentials tools on your computer, what is malware attack for? Click here to check out the Malware Prevention Techniques.